One of my favorite discoveries in 2016 was the amazing Bullet Journal community. I find so much creative inspiration among the friends I’ve made and I’ve learned a lot about myself and passions I didn’t even know I had–planning, productivity, doodling, and my latest project, learning to hand letter. I was excited when Olivia from Random Olive offered to make a brush lettering practice sheet for me to share with all my readers. Olivia let me pick any phrase I wanted for the practice sheet, so I picked the old Tagline for Sublime Reflection–Show up. Be real. Be you. This is one of my favorite mantras. All you really have to do to keep growing, progressing, and moving forward in your life is just show up. Show up for yourself by making self-care a priority. Show up for your marriage by connecting daily, listening more than you talk, and being vulnerable. Show up for your kids by putting down your phone and being present. Show up for your work by doing your best, asking for help when you need it, and getting a little better every day. I used to call myself a perfectionist, as if that was something to be proud of. Now I realize that perfectionism is really all about fear. I was afraid if I didn’t do everything perfectly, if I let my true feelings, stories, hurts, and dreams show people wouldn’t like me. But, I’ve actually found the opposite is true. People don’t like perfection. People like real. So stop all the madness! Be vulnerable. Share all of you, even the messy parts. No, especially the messy parts. I’ve found it’s the messy parts that make people strong and beautiful. You (and me) included! Nobody else is exactly like you. You have unique gifts and ways of expressing them that are all your own. Embrace your uniqueness. It’s what makes you special. 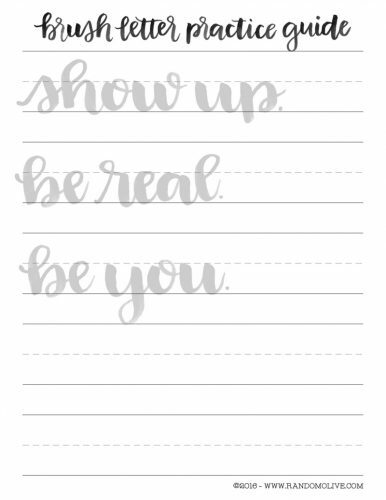 If you’d like a copy of the brush letter practice guide to remind you of these 3 important mantras, and to work on your own lettering, simply leave your email in the form below and Olivia will email it to you. 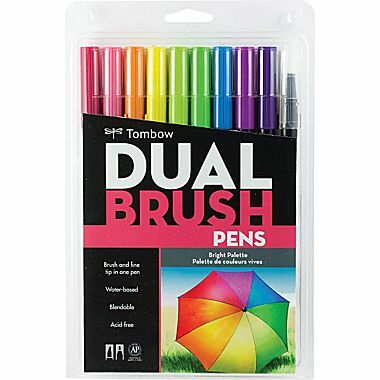 I used Tombow Brush Markers to practice, but you can also use a brush with watercolors. 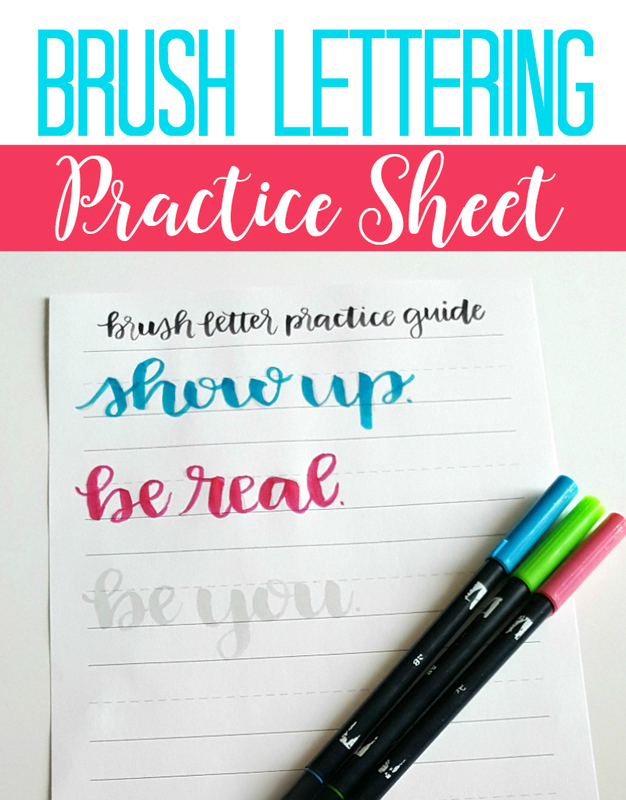 Check out The Most Basic Supplies to get Started with Brush Lettering if you’d like more information about the different brushes and supplies you can use. 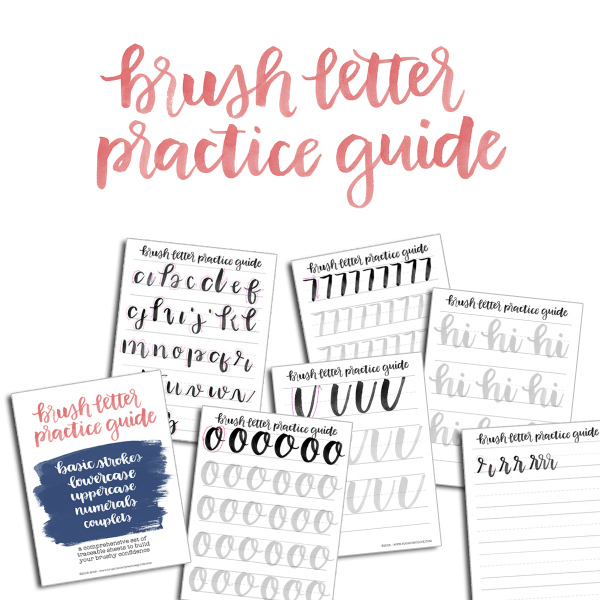 If you want even more practice, check out Olivia’s Brush Letter Practice Guide which walks you through basic strokes, uppercase letters, lowercase letter, numerals, and couplets. I’m using it to practice for a few minutes every day which is one of my goals for the new year. Disclosure: This post may have affiliate links. By clicking on them and purchasing through them, I may receive a small commission. These small purchases help me to continue to keep writing content and creating at Sublime Reflection. Thank you! « I’ve picked my word of the year, now what?